each other and the customer? Strong connections are vital in our lives, yet in today’s “virtual world” it is often difficult to make meaningful connections. Audience members continually note that his Nice Bike messages take them on a roller coaster ride experience with stories that touch the heart, brilliant comedic timing and actionable strategies. Plus, it is motivating, fun and engaging. When team members are truly connected – retention improves, sales increase, customer loyalty soars and your business grows. 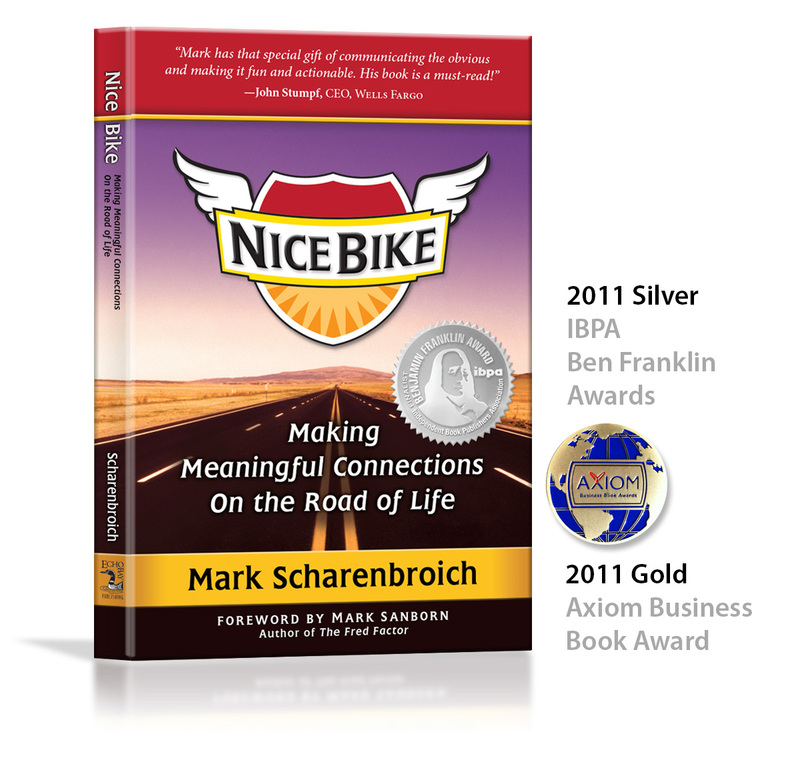 Emmy award winner, Hall of Fame keynote speaker and entertainer, Mark developed the Nice Bike metaphor to drive home the power of connecting in a more genuine way. 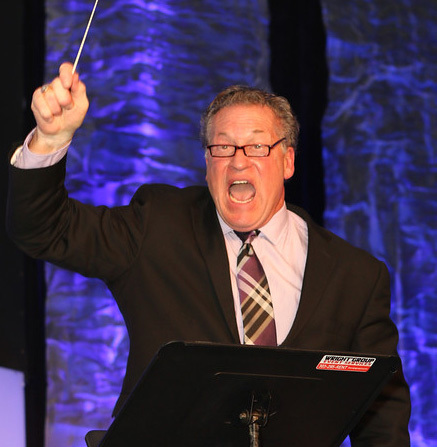 Part motivational keynote speaker, part thought-provoker and pure entertainer – Mark delivers every time. “Boomba Hey”and “Hey, Nice Bike” are © 2008–2018 Scharenbroich & Associates. All rights reserved. What do 500 seasoned event planners — who have seen every speaker under the sun — have to say about Mark Scharenbroich? What Does “Nice Bike” Mean? More than passing compliment, Nice Bike is a powerful, memorable principle that acts as a catalyst to help build stronger, more effective teams. 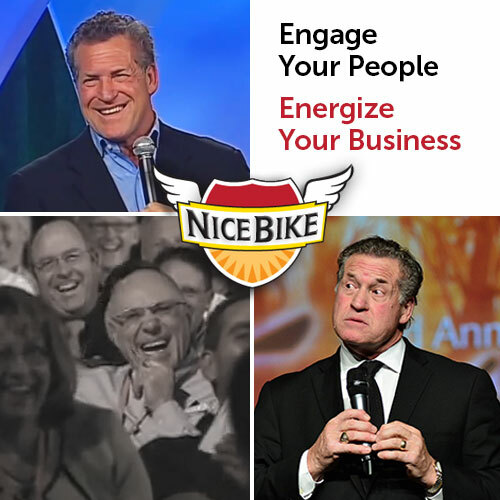 To book an award-winning keynote speaker, please call 612-802-4051 or contact the Nice Bike team today. Credentials are important. Mark’s profile tells the story of this award-winning author, National Speakers Hall of Fame inductee and winner of international film awards who is the veteran of more than 4,000 speaking engagements. A motivational speaker needs not only experience and credentials, but rave reviews and a custom approach to each speaking engagement. Call Sue Scharenbroich at 612-802-4051 or contact Nice Bike for more information or to book a speaking engagement. It’s one thing to produce a great product and fuel real growth, it’s more important to know why you go to work every day and influence the lives of others. Honor others by not "calling it in." Give more and take less.